akupofkatie: life as of late...from my iphone! life as of late...from my iphone! We've been eating a lot of tacos! This bad boy was breakfast. I gobbled in 1 min. Corn tortillas are gluten-free and a yummy treat! Date night. Going in for the kill. She's spoiled. She's devouring Frosty Paws (doggie ice cream)! We couldn't help but buy it! I find him adorable even in a sweaty ball cap. Confession: I ate taco bell. Let's celebrate ourselves and stop worrying about things that aren't important. I've been wearing a lot of lip color as of late. TIP! Wear bright lips when your having a bad hair day. What's your BEST red lip tip? No surprise here, SCHOOL IS BACK. This year, I'm teaching pre-k!!! No, you can't steal her. The last three pictures are WAY COOL!!! 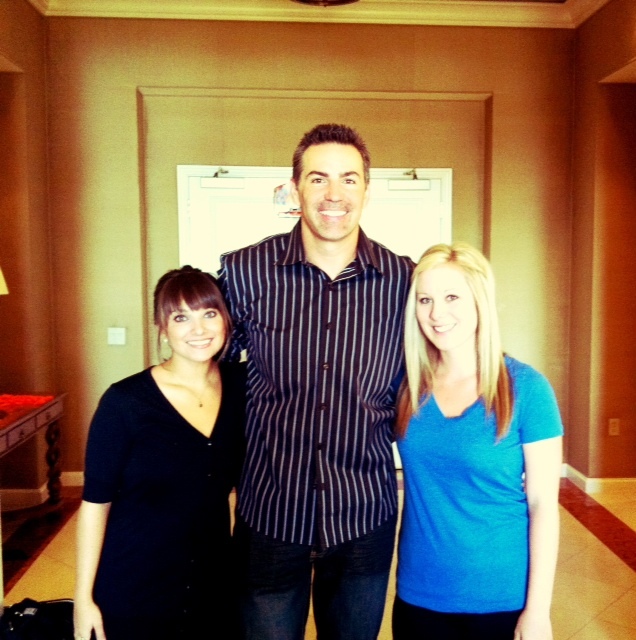 I had the honor of babysitting Kurt Warner's children this weekend. Thank you to Kevin and Alyssa for this opportunity! Kurt spoke at Central Christian Church this weekend (watch it online HERE) and he brought his kids. While he spoke at the church we hung out with his kiddos Saturday and Sunday! I could say so many wonderful things about the Warner Family. Kurt was just awesome. Kind, appreciative, funny, and oh so loving to his kids. Although I'm not a parent, I am a teacher. It's easy to tell real quick which kids know their loved and which kids question it. There's no doubt about it that these children know they are deeply loved by their parents AND by God. Alyssa told Kurt that we wanted parenting advice from him! Out of respect to the family I'm choosing not to post the silly pictures of his kids and me. They are pretty dang adorable though! This by far is on my top ten "coolest" weekends yet. My Dad was the first person to tell me about Kurt's story. My Dad is a man himself who loves Jesus, taught his kids about Jesus, and raised a pretty awesome family. My Dad admires Kurt for his class and has for years. It made my Dad super jealous that I got to hang with Kurt and his family, but, for me it's so cool to share that connection with my Dad! I love you Pops! To all the awesome parents out there...thank you!!! And, to Kurt and his kids, thanks for a fun-filled weekend of crafts, nerfball, and towel whipping. Oh how can I forgot the stink-bombs?! "But seek first his kingdom and his righteousness, and all these things will be given to you."